Did you wish on a shooting star for a big, hazy, beauty of a New England IPA? It was possibly some Spey’s Hardware! Our rich, fulsome, New England IPA, bursting with the freshest and fanciest hops – Simcoe, Mosaic and Citra – for a big fruity flavour, with just a touch of background bitterness. It goes down a storm at Summer Festivals, tasting just like tropical fruit juice – a little bit dangerous at 6.4% ABV. Style: New England IPA – cloudy, fruity, alcoholic juice! 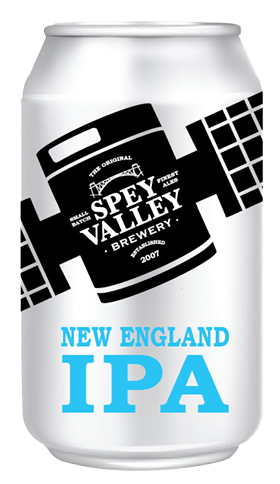 Format: Cask, Keg and 330ml cans. Malts: Pale Ale, Wheat, Oats. Hops: Delta, Rakau, Simcoe, Mosaic, Citra.